One of the questions I hear most often from women in business is, "How do you achieve a balanced lifestyle while succeeding in business?" I'll cut to the chase with my simple answer: you don't. And you never will. Now, let me back up and try to explain what I mean. What in the World is a Balanced Life? I get sad when I see so many women stop pursuing dreams because they are seeking balance in their lives. This pursuit is dysfunctional. You can't put equal value on them because they are just not equal. We are trying to maintain a balance of apples, oranges, summer squash, and watermelons. 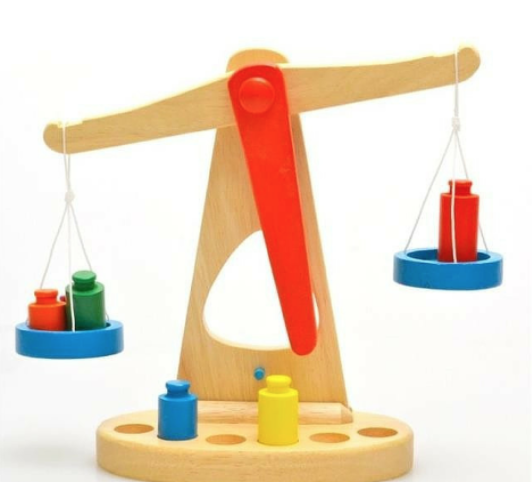 To be balanced means to have equal or correct proportions of an element or to keep or put something in a steady position so that it does not fall. Well, that definition makes no sense in life. You can't have equal proportions of everything all the time. Some days are full of passion, some days we don't want to get out of bed; some days we work a little harder to push toward our goals while other days we head outside to go for a walk; some days require late hours at the computer; and other days, we must leave early for a doctor's appointment or a child's swim meet. And we know that we will fail once in a while because, well, we're human! We make mistakes, we burn out, we get lazy, we procrastinate, and we burn the candle at both ends. In short, we fall. Rather than pursuing balance in life, why not pursue your variety of passions? The problem is, we usually sell ourselves short. We decide to live for going to work; running errands; or taking care of a partner, spouse, or child before ourselves. We end up feeling empty and thus, we try to figure out how to live a more "balanced" life. What we are doing is trying to carve out time to make sense of why we are doing what we are doing most of the time. I know this because people who are living their passion do not ask about balance. 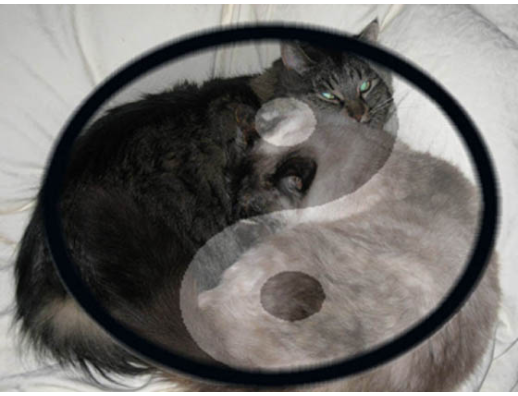 They are living their balance and life flows with them. The other notion about a balance that screws us up is that to have balance, you must compare the value of one thing to another. How do we compare making our highest and best contribution to a project that offers value to the world to say, spending an awesome afternoon at the beach? How do we put the same value on going to a child's soccer game, dance recital, or school play with that of working in the evening because we are finishing a marketing strategy that can revolutionize the way people relate to each other across cities, states, and countries? You can't put equal value on them because they are not equal. We are trying to maintain a balance of apples, oranges, summer squash, and watermelons. The point I'm trying to make is that most of us are not being honest with what we value. Some of us want more "me" time. Some of us love our work and want to drive that new project forward. Some of us enjoy time with our families. And this is where we have to get brutally honest with ourselves. Do you put more value on "me" time because you spend your days feeling like you're not living your purpose? Do you value being at the office because you find that when you're home, you feel insignificant? Do you find yourself telling other people you are so "bummed" you have to miss your child's soccer game, but you could care less about sitting on the sidelines and watching a group of cute kids clump around a ball? What is it you value, and what is it that you say you value because you think it's acceptable, either socially or morally? Ask a New Question and Get Honest with the Answer. You need to ask yourself a new question. Drop "How do I find balance?" and ask, "What is of value to me? Am I spending my time doing it?" You know the best way to find this out? Look at your calendar and your checkbook (whatever, nobody has a checkbook anymore, but go online and look at your bank account). What you truly value shows up in how you spend your time and money. The first time I did this evaluation, it was humbling and awkward. Do I value buying lawn chair cushions, bathroom accessories, and memory match video games? Was I making up stories that I wanted to run a business that allows women to change the way they are perceived in the technology industry? Because by my calendar and spending habits, it looked more like I wanted to have a pretty home and throw dinner parties. Well, here was my truth. I did want to have a pretty home and throw dinner parties. Part of me did want to buy patio furniture and flip through design magazines. Until I could 'fess up and admit that there was a big part of me that would rather be taken care of and stay at home, I couldn't fully pursue my dreams. I was more worried about what my friends or colleagues would think about me than what I thought about myself. I was worried that I would lose myself and become unbalanced if I left the safety of my pretty, crafty home. Staying indoors was truly serving me at that time. Once I clearly saw that I was not spending my time or my money on anything that was in alignment with my true passion and dream, I could make a new decision. Now, that was the first step of many, but it helped me to see that I do not need a balanced lifestyle when I'm living in alignment with my highest and best contribution—my "real work." The What-Ifs Are Powerful Little Creatures. What if I don't lose weight? What if nobody wants what I have to sell? What if I don't make any money? What if I spend too much time at the office? What if I miss my kid's birthday party? What if I invest all my money and go bankrupt? The what-ifs are like gremlins. You need to make sure you do not get them wet, expose them to bright light, or feed them after midnight. In real terms, we feed gremlins by thinking about them. But because gremlins are so powerful, you often can't stop thinking about the scary things that can happen when we are about to embark on a big adventure or some other change. It can be hard to find people to support your change because everybody else is walking around with personal what-ifs. And when you do find the courage to change, life can become hard and lonely, and you can be left wondering why you wanted this anyway. When I created Female Founders Camp and Camp Cause and Success (CAS), I had to change my perspective on how I spent my days. I had a vision of creating a place where like-minded, successful people gather to play, inspire, and reconnect with themselves and their true values. The biggest problem I faced was that I had to look in the mirror first and admit I was not living my life in alignment with my values, so I felt incredibly out of balance. As soon as I was ready to change my daily living, Camp CAS was born, and I stopped looking for balance. So, until next time, get curious, stay connected, be confident, and throw balance to the wind! *The Whatifs are from a Shel Silverstein poem. You should read it now.